The Intel Core i7-6567U is a dual-core SoC based on the Skylake architecture. In September 2015, it's the fastest CPU of the 28 W series, which can be found in medium-sized ultrabooks and notebooks. In addition to two CPU cores with Hyper-Threading clocked at 3.3 - 3.6 GHz (2 cores: max. 3.4 GHz), the chip also integrates an Iris Graphics 550 GPU with 64 MB of eDRAM memory as well as a dual-channel DDR4-2133/DDR3L-1600 memory controller. The SoC is manufactured using a 14 nm process with FinFET transistors. Skylake replaces both Haswell and Broadwell and brings the same microarchitecture in every TDP class from 4.5 to 45 W. The extensive improvements of the Skylake design include increased out-of-order buffers, optimized prefetching and branch prediction as well as additional performance gains through Hyper-Threading. Overall, however, performance per clock has been increased by only 5 to 10 percent (compared to Haswell) respectively under 5 percent (compard to Broadwell), which is quite modest for a new architecture ("Tock"). Furthermore, the organisation of the eDRAM cache has been modified. Instead of acting like a victim cache, which has to be adressed via the L3/LLC, the eDRAM can now be adressed directly by programms just like the main memory. The size is still 128 MB for the quad-core models (4C + GT4e), while the dual-core chips (2C + GT3e) only offer 64 MB. According to the specified clock rates and the improved architecture, the Core i7-6567U should perform slightly above the former Core i5-5350H (Broadwell) and is one of the fastest mobile dual-cores as of late 2015. Even demanding applications and multitasking are handled easily. The integrated graphics unit called Iris Graphics 550 represents the "GT3e" version of the Skylake GPU (Intel Gen. 9). The 48 Execution Units, also called EUs, are clocked at 350 - 1100 MHz and offer (thanks to the fast eDRAM cache) a performance similar to a dedicated GeForce 930M. Games of 2015 can thus be played smoothly in low or medium settings. For more information about performance and features, check our page for the Iris Graphics 550. Specified at a TDP of 28 W (including CPU, GPU and memory controller), the CPU is best suited for medium-sized notebooks (13-inches and above). Optionally, the TDP can be lowered to 23 watts (cTDP down), reducing both heat dissipation and performance. 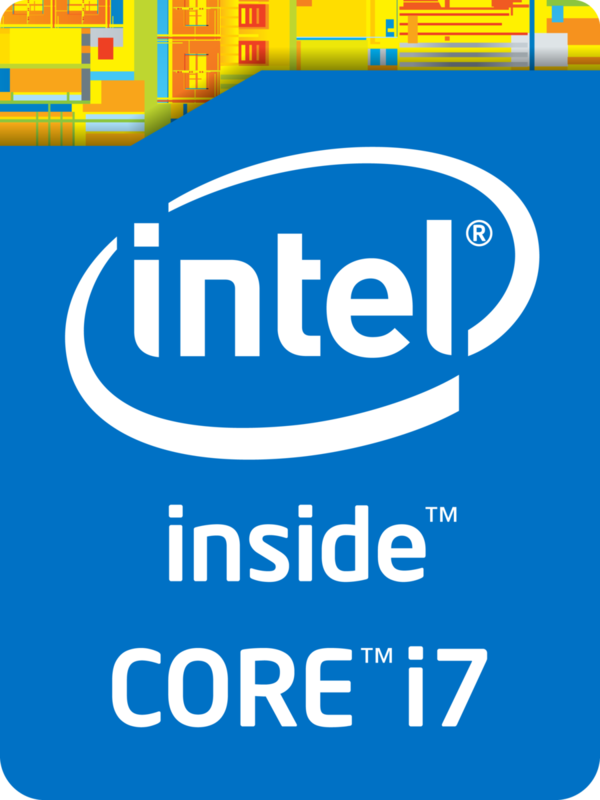 The Intel Core i7-6560U is an ULV (ultra low voltage) dual-core SoC based on the Skylake architecture and has been launched in September 2015. The CPU can be found in ultrabooks as well as normal notebooks.. In addition to two CPU cores with Hyper-Threading clocked at 2.2 - 3.2 GHz (2 cores: max. 3.1 GHz), the chip also integrates an Iris Graphics 540 GPU with 64 MB of dedicated eDRAM memory and a dual-channel DDR4-2133/DDR3L-1600 memory controller. The SoC is manufactured using a 14 nm process with FinFET transistors. According to the specified clock rates and the improved architecture, the Core i7-6560U should perform similar to a Core i5-4300M (Haswell, 37 W) and slightly beat the Core i7-5600U (Broadwell, 15 W). Thus, the CPU has sufficient power for office and multimedia purposes as well as more demanding applications and multitasking. The integrated graphics unit called Iris Graphics 540 represents the "GT3e" version of the Skylake GPU (Intel Gen. 9). The 48 Execution Units, also called EUs, are clocked at 300 - 1050 MHz and offer (thanks to the fast eDRAM cache) a performance sligthly above a dedicated GeForce 920M. Games of 2015 can thus be played smoothly in low or medium settings. For more information about performance and features, check our page for the Iris Graphics 540. Specified at a TDP of 15 W (including CPU, GPU and memory controller), the CPU is best suited for small notebooks and ultrabooks (11-inches and above). Optionally, the TDP can be lowered to 9.5 watts (cTDP down), reducing both heat dissipation and performance and allowing even more compact designs.